Nowadays, when hackers constantly look for vulnerabilities, while more and more aspects of life are being digitized, cyber security is of utmost importance and every app developer has to pay special attention to access management. Keycloak is one of the most ingenious solutions created with app developers in mind. It provides an elegant and easy way for securing modern applications and services. With Keycloak comes an easy to roll out Multi-Factor Authentication (MFA) with one-time passwords (OTP). By default, Keycloak multi-factor authentication supports time-based OTP (TOTP) delivered via an authenticator app only. 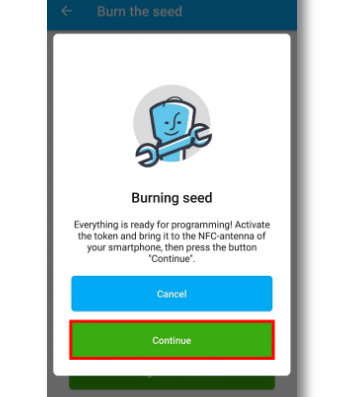 But for those who want to add an extra layer of security for their users, there is a perfect solution — reprogrammable token Protectimus Slim NFC. This token is, basically, programmed to be utilized as a replacement for the mobile authentication app. Configuring Keycloak multi-factor authentication is very easy and won’t take a lot of your time. Basically, all you need to do is enforce both your existing users and your new users to use one time passwords. Select “Authentication” in the sidebar menu in the Keycloak admin area, then find the “Required action” tab, in the top row (“Configure OTP”) check “Default action”. To hook up Protectimus Slim NFC to Keycloak the following OTP Policies have to be applied: SHA1, TOTP, 30 or 60 seconds period. You can read more on the OTP Policies in the official Keycloak documentation. 1. Download Protectimus TOTP Burner application. Out of the box, Keycloak is an awesome solution for managing security and access. But integrating it with Protectimus multifactor authentication service will expand your protection options, provide more features and make your apps and services truly bulletproof. With Protectimus you will be able to add any MFA method you wish: Keycloak two-factor authentication via email, hardware tokens with hardcoded keys (these are cheaper than the reprogrammable ones), Keycloak 2fa SMS, and even capability to deliver OTP via chatbots in various messengers. But what’s more important, you’ll get a set of advanced Protectimus 2-factor authentication security features. Let’s take a closer look at the most important features Protectimus authentication solution has to offer. This is a very effective way to protect sensitive data from phishing software, Trojans and various other harmful software injections aimed to steal one-time passwords. CWYS data signing feature generates OTPs in reliance with the actions the user is performing. 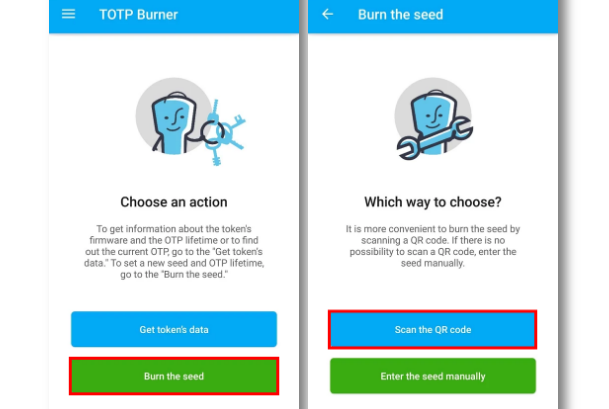 This way, the generated OTP can only be used to sanction the one specific operation, which the user was doing when the OTP was generated. Even in a highly unlikely case the password is somehow intercepted, the criminals can’t use it to confirm an unauthorized operation, it simply won’t work. By implementing this ingenious filter you can both allow and block entry to users from particular countries of your choosing. This feature is great for granting access to corporate environments. With it, you can allow users access only at certain hours, for example — working hours. This way the corporate portal is protected against unauthorized access much better. This smart feature is great for those who need to constantly log in and out of a system and the access rules are not extremely strict, where some amount of trust is allowed. With this feature on, Protectimus will analyze the users’ environment (OS and language, browser name and current version, resolution of their screen, the presence of certain plugins etc) and will request OTP only if there’s a significant mismatch. This allows for creating different groups of users and assigning different access protocols for these groups in the same Protectimus account. So you can have one type of access protection for end-users and a completely different one for administrators, for example. By allowing users to handle their own tokens you take the extra work-load off the system administrator and save your funds. As you can see, integrating Protectimus multifactor authentication service with Keycloak allows for a much more versatile approach to protecting and managing access to your apps and services. Protectimus is available both as an On-Premise Platform and a Cloud Service, the integration is done via API. The pricing will pleasantly surprise you, for example, you can have up to 10 users completely free of charge. To learn more about Protectimus pricing plans go here.